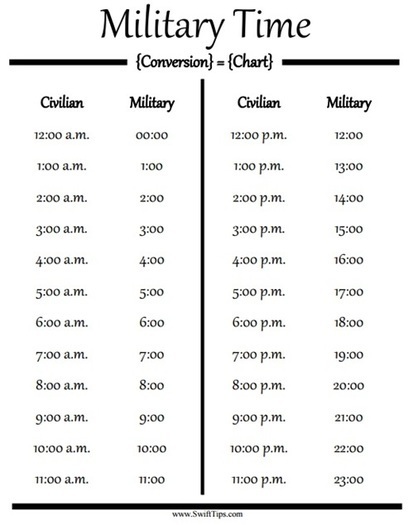 Learn how to tell Military Time quickly! Also known as 24 hour time, military time counts the hours of the day from 0 to 24, from midnight to midnight. What is military time good for? Avoiding confusion! With military time, there’s no need to specify am or pm. That makes military time ideal for all sorts of situations where accuracy in recording the time can mean the difference between life and death. How Do I Learn How to Tell Military Time? 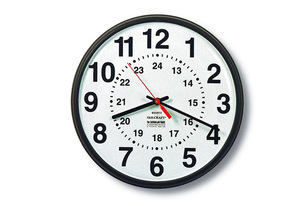 If you’re used to 12 hour time, you can easily convert to military time by adding 12 to the hour of any pm times. To convert from military time to 12 hour time, subtract 12 from pm hours. Learning how to tell military time will help you communicate with loved ones in the service and also allow you to travel abroad more easily. That’s because most countries besides the US and Canada actually use the 24 hour clock for everything.